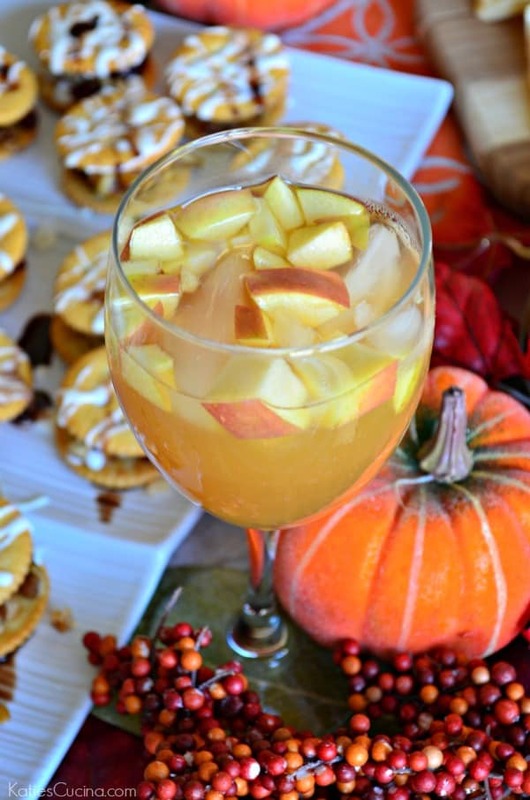 Entertain this fall, with a big glass of this Apple Cider Sangria. 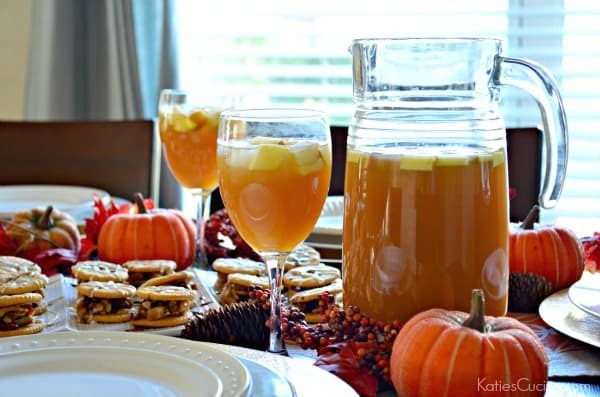 Your family & friends will love the taste of fall with this delicious & easy drink recipe. We love sangria in our home. It’s a great versatile drink to serve to family and friends when entertaining. You can whip it together in just a few short minutes, pour, and enjoy the sangria with your guest. I love apple cider so it came to me one day after drinking a glass of cider that I should make a sangria recipe out of my favorite drink. My two favorite drinks collide into one and I love every sip of it. If you really want to get crazy you could rim your glass with some caramel sauce and then you have a caramel apple cider sangria. But I prefer a few glasses of this apple cider sangria just how it is. And if your looking to make this drink kid friendly just omit the Moscato wine and rum and add lots of sparkling water. Kids will love this drink too! I served this apple cider sangria with my Pecan-Apple RITZwich appetizer. They are a mix of sweet and savory and compliment this drink perfectly! 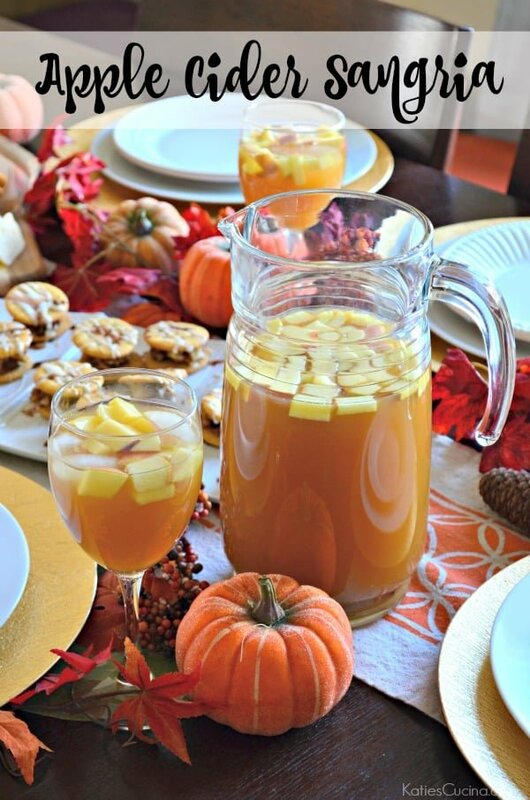 So if your entertaining next week, or any time this fall, grab a jug of apple cider, a bottle of proseco and make a big pitcher of this apple cider sangria! In a large drink pitcher, combine the moscato, light rum, and apple cider, mix well. Serve sangria over ice with chopped apples and a cinnamon stick.